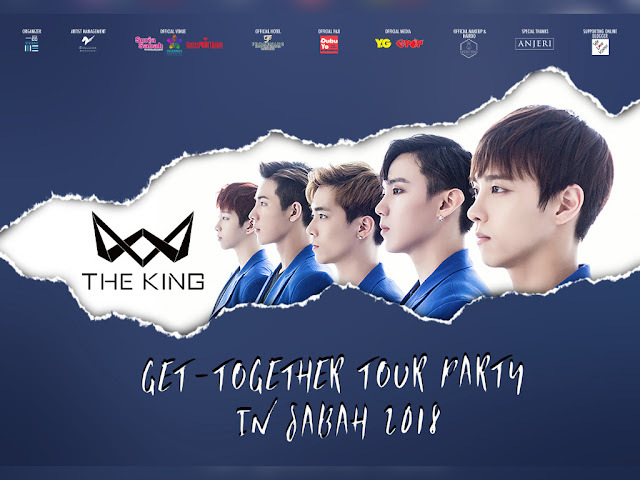 Sabahan fans of Korean boyband The King, if you missed out on partying with the boys the last time they came over to Malaysia, well now here’s your chance to party with them in your hometown! Sejin, Choi Rang, Dong Hyeok, Seung Jae and Bawool are all coming down to The Land Below the Wind for their “The King Get-Together Tour Party in Sabah 2018”. The two days promotional tour will take place on 28 and 29 July in Sabah’s capital city, Kota Kinabalu. The 5-member band under Stallion Entertainment previously brought their Get-Together Tour Party, also organised by Yi Pin Studio, to West Malaysia earlier this year, spending time with their fans in Kuala Lumpur from 27 April to 1 May. Don’t miss this chance to see The King live in person! Wow I can say that this is another great article as expected of this blog.I in like manner think this is an extremely great site.